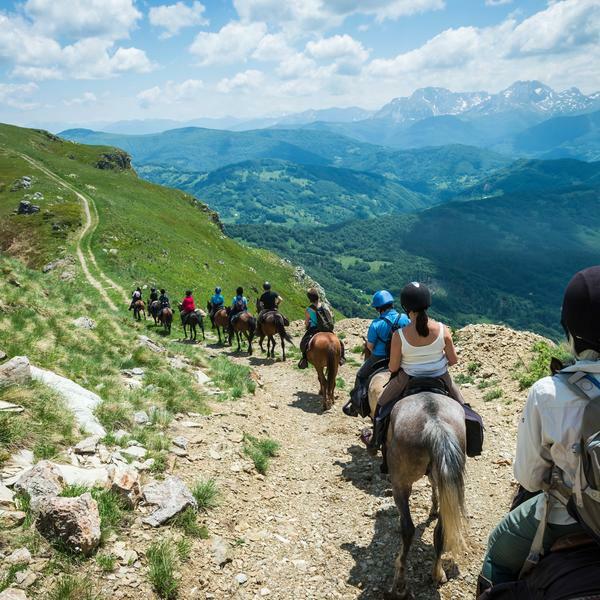 Packed with magnificent mountains, beautiful beaches and amazing architecture, beautiful Montenegro is made for exploring on horseback, and this eight-day trip allows you to experience it from the saddle. 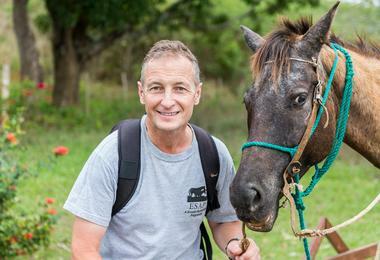 Your host will be Richard Dunwoody, a three-time Champion Jockey and now an entertaining tour leader. 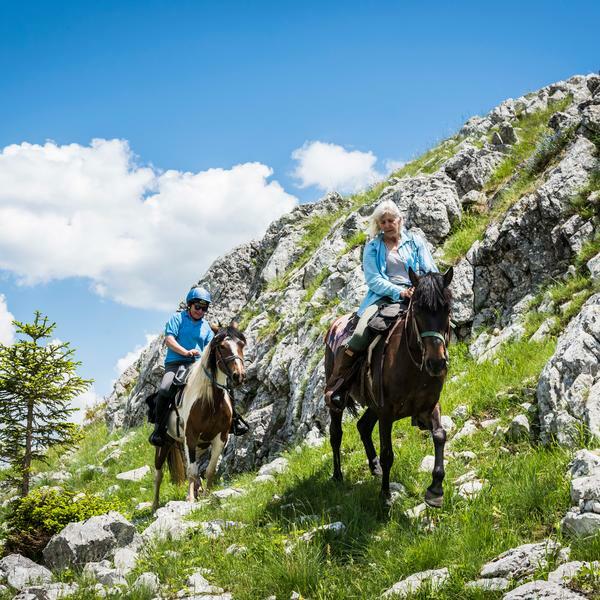 Together you'll explore mountains and rivers, visit traditional villages, enjoy home-cooked Montenegrin meals and immerse yourselves in beautiful scenery. 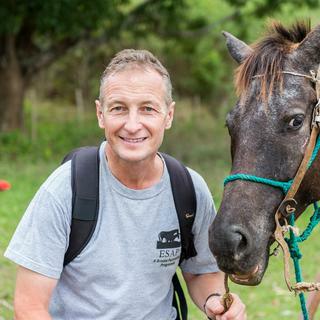 Your tour will be joined by former three-time champion jockey Richard Dunwoody, who will be there throughout the trip. All transport as outlined in the itinerary (not including international flights). 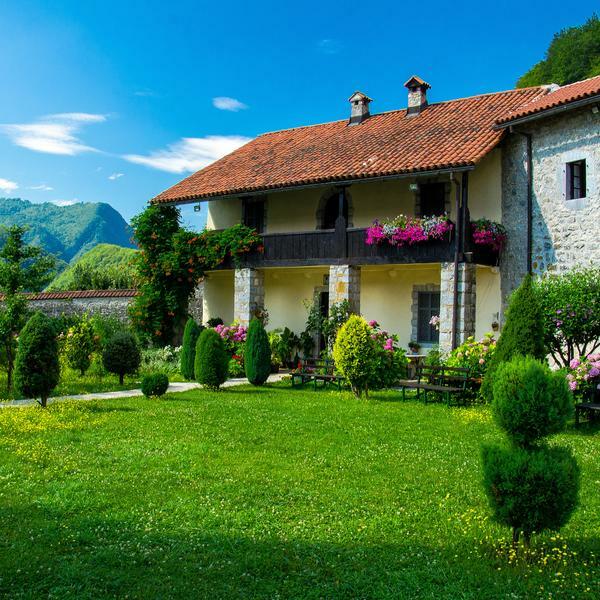 Start in the Montenegro capital today, then transfer directly out of the city and head north, towards the historic mountain town of Kolašin. 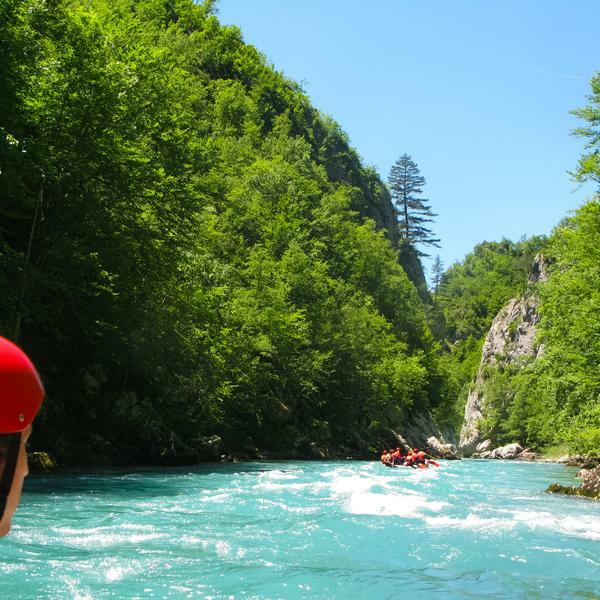 The road takes us through the stunning landscapes of the Platije Canyon, whose steep walls plunge some 600 metres into the waters of the Morača River. Along the way we'll also get a chance to visit the Morača Monastery, one of the country's best known medieval landmarks. Dating back to the middle years of the 13th century, the monastery is one of the largest Orthodox monuments in Montenegro and home to some truly stunning 13th century frescoes. 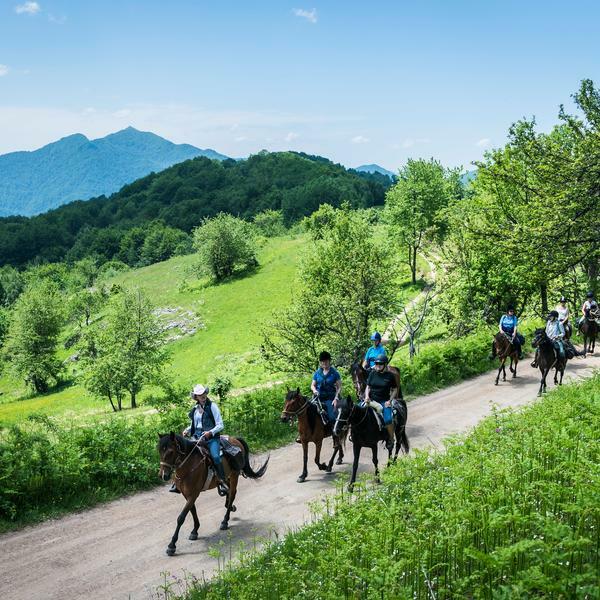 On arrival in Kolašin we'll meet the horses and have an orientation briefing on the days ahead, before settling down to enjoy a traditional Montenegrin dinner this evening. Bijeli Potok Cabins or similar. 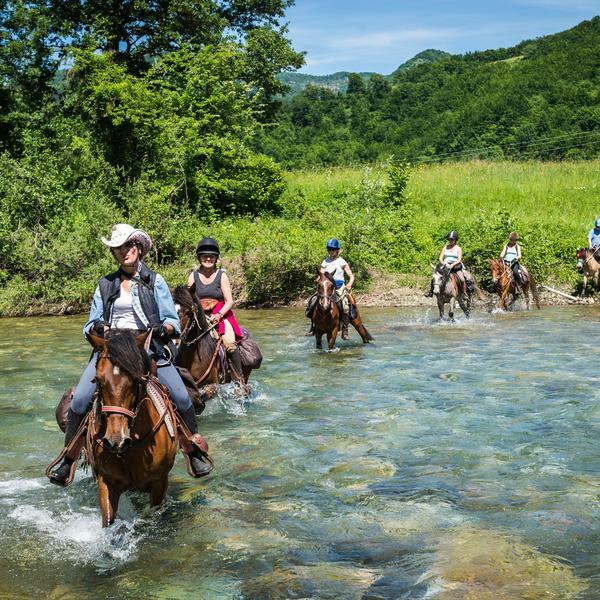 Today we will leave Katun Goleš behind us and head to the village of Moračko Trebaljevo, before we reach the Tara River, where hopfully the water will be low enough to cross on horseback. 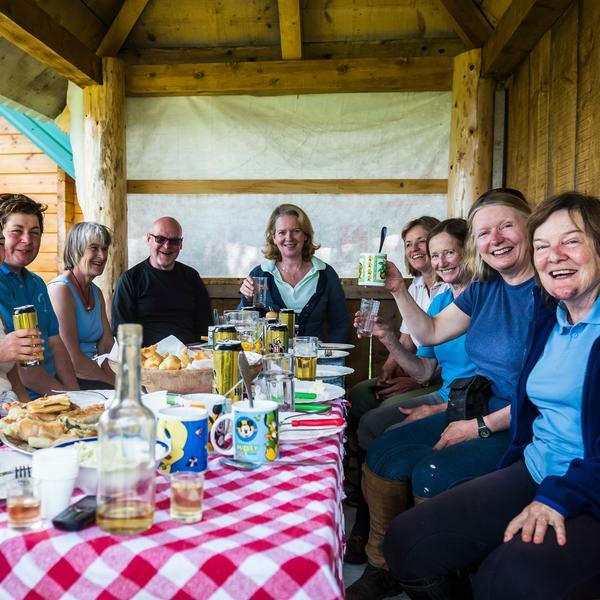 Once we are across the river we will have some lunch before heading to Markovo Brdo and Mt Sinjavina, from where we will be able to look across some very different scenery before continuing on to our guesthouse. Today's long ride will take us through some amazing scenery. This morning we will ride to Savina Voda Lake, before heading uphill to the Sinjavina plateau, passing Ruzica Church. 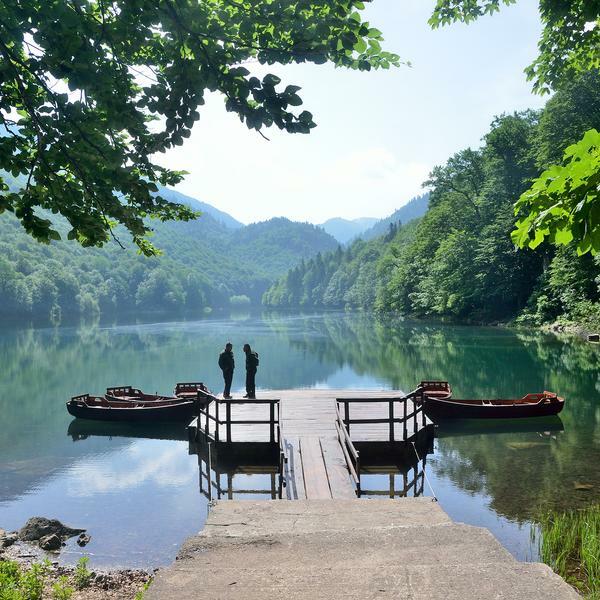 We will head to Lake Zabojsko, hidden in the rocks of Sinjajevina and surrounded by a dense coniferous forest. 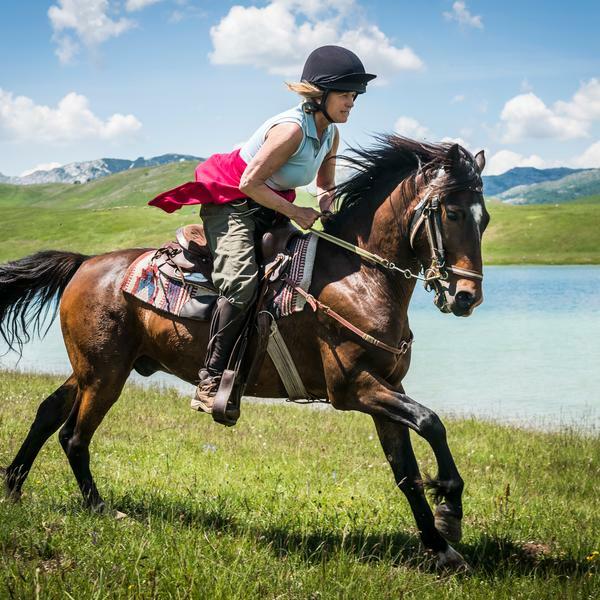 We'll unsaddle the horses here, enjoy some lunch and a rest and take in our surroundings. Afterwards we'll then have a short ride to our base for the night. Guesthouse or camping. 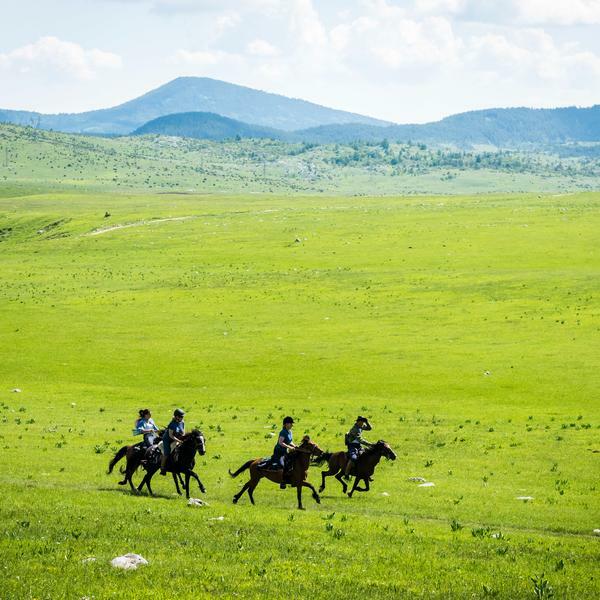 Our ride today takes us onto the World Heritage landscapes of the Durmitor National Park, crossing the Sinjajevina Meadows and passing through local villages as we make our way towards the slopes of Durmitor Mountain. 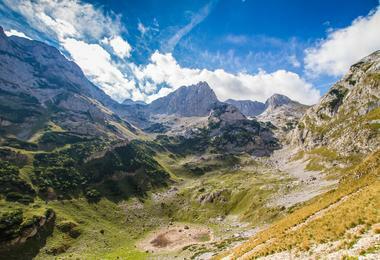 These breathtaking panoramas were formed by glaciers and rivers and, as we follow the trail along the side of Zminjicko Lake and on to Njegovudja, we head for the highest point in the Balkans. 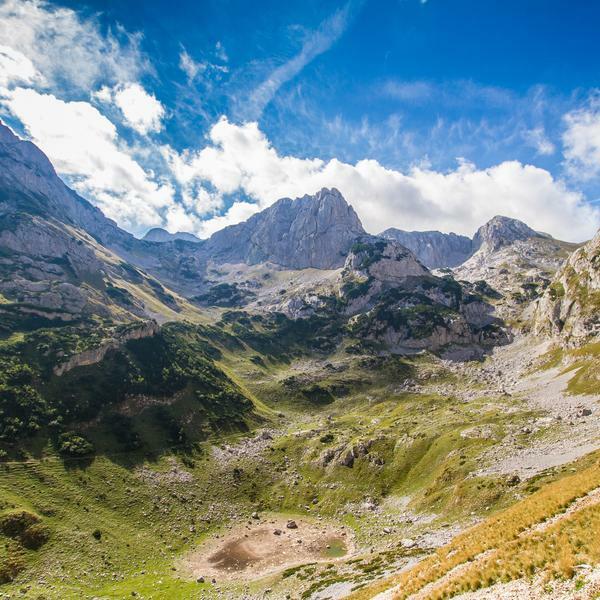 Our destination is Zabljak, sitting close to the plunging gorges of the Tara River Canyon, the deepest canyon in Europe, whose stunning landscapes are home to dense forests of pine, pristine lakes and a stunning variety of endemic flora. 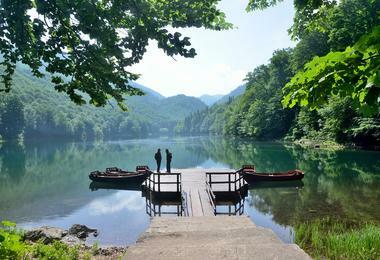 If time allows this afternoon we'll pay a visit to the nearby Black Lake before dinner. Hotel Pavlovic or similar. 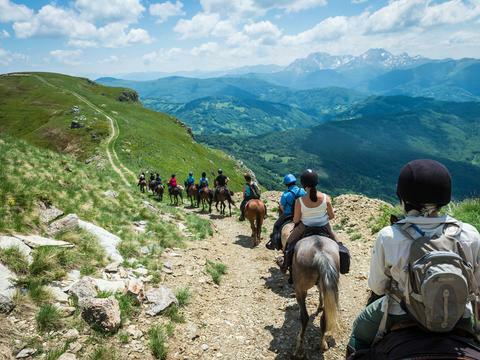 We will have a short ride this morning as we cross the meadows of Durmitor to Lake Riblje, where we will have lunch at a family farm before taking a short drive to the rafting start point. This isn't extreme rafting, and is the perfect way to enjoy the stunning natural beauty of the canyon and the national park that surrounds it. 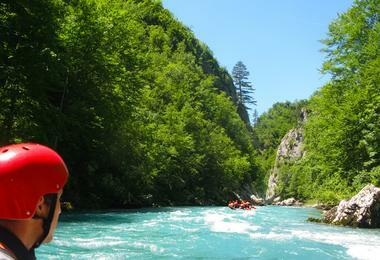 We'll spend a couple of hours floating down a river that has been called the Montenegrin Colorado. The rapids in this section of the river are relatively sedate and we'll be treated to some great views of the famous Djurdjevica Tara Bridge which, at over 360 metres in length was the biggest vehicular concrete bridge in Europe at the time of its completion. 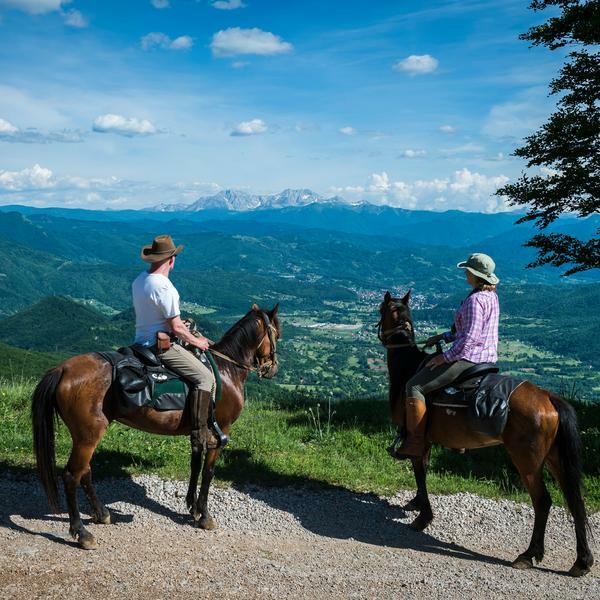 In the late afternoon we will head back to Kolasin, our starting point for the ride. Bijeli Potok Cabins or similar. The tour finishes after breakfast, where those of us on the suggested group flights will take a transfer back to Podgorica in time to check in for our flight home.